1. Repair Windows start-up using Windows 7 installation DVD. The report is divided in many sections, what you should be looking at is the block where you can find an entry mentioning grub. End the live Ubuntu session and restart. If you can boot into the Windows then it worked!! 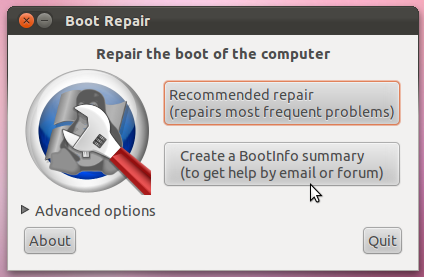 Otherwise look for other solutions on the Google (one of them was: re-installing the Ubuntu again, hence fixing the Grub).